The Krowne HS-30L wall-mount hand sink is constructed of stainless steel for durability. Water and other liquids are contained to the sink with its 73⁄4-inch-tall back and side splashes. Strength is provided by the offset wall-mount bracket. The stainless steel drain comes with a plastic overflow tube. A faucet is mounted in the backsplash and includes 1⁄2-inch IPS hot and cold water. 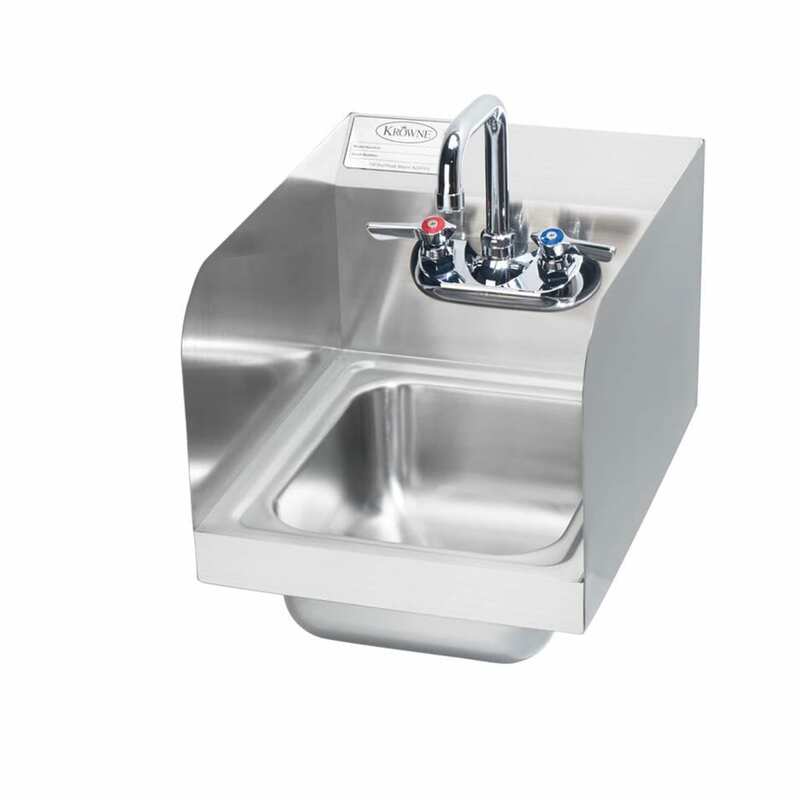 The Krowne HS-30L wall-mount hand sink bowl is stamped on the rim to reduce spills.